Hi lovelies! Last year I shared my Disney mug collection for the first time and I've been eager to do an updated post as I've managed to get my paws on so many lovely new mugs since then! As you can see compared to my measly collection of nine mugs last year, I've added a lot more mugs to my shelves! 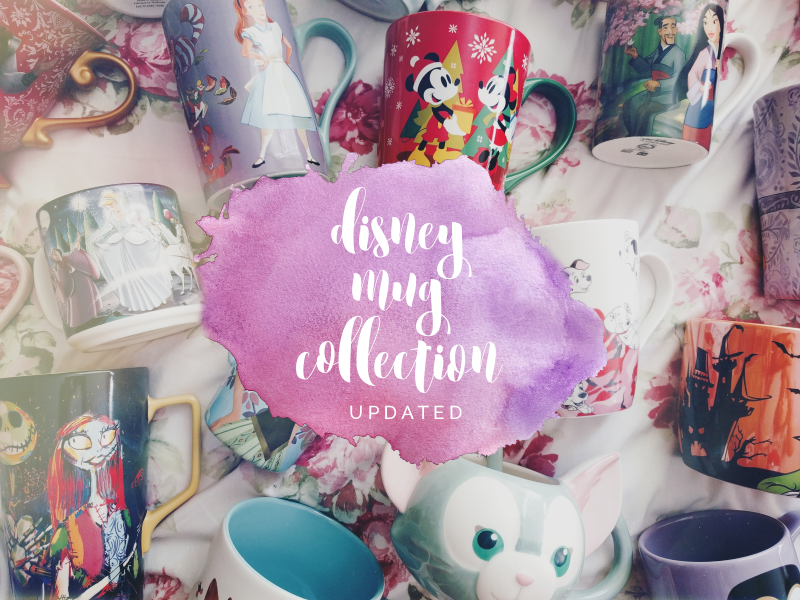 Today I'll show you the new mugs I've bought and where I bought them from, but if you'd like any information about the ones that I included in my last collection post, you can find all the details here. Let's begin! The Disney Store have been killing it recently with their mug designs. I'm especially in love with the Mary Poppins mug with it's beautiful baby pink interior and ornate handle. 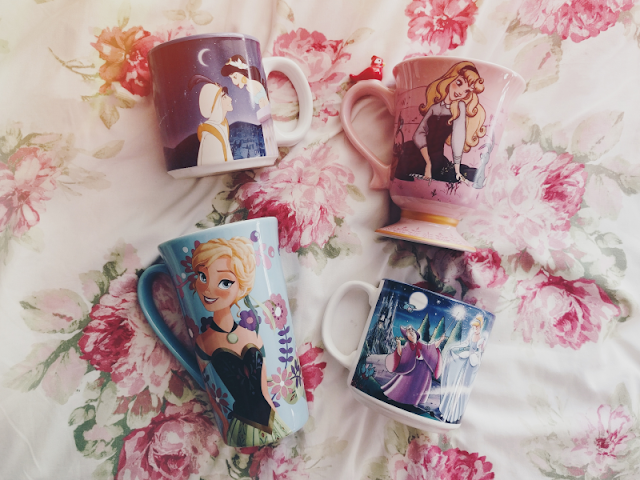 I honestly don't think Disney have ever made a prettier mug! The poisoned apple mug is also a favourite of mine - it has a pearlescent finish to it which is so stunning. I don't think it'll be leaving my hands for the entire Halloween season! I've also had some very good fortune with second-hand Disney mugs! The Sleeping Beauty mug was on my grail list so I was over the moon to be able to add it to my collection. Luckily it appeared in a Facebook Disney selling group when I happened to be scrolling through one day so I snapped it up straight away. I also bought these two lovey non-Disney-Store mugs. The Beauty and the Beast mug was from TruffleShuffle and I'd been waiting for them to release it for months! Unfortunately much to my surprise I didn't like any of the mugs that the Disney Store released in the live action BATB collection so this was the perfect substitute. 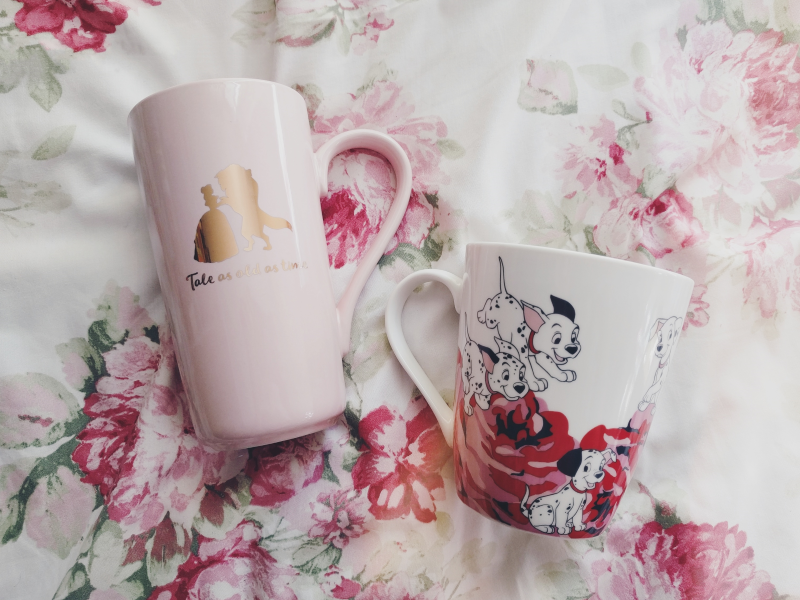 The other mug came from Disney's 101 Dalmatian collaboration with Cath Kidston. Is there a more perfect pairing than puppies and roses? 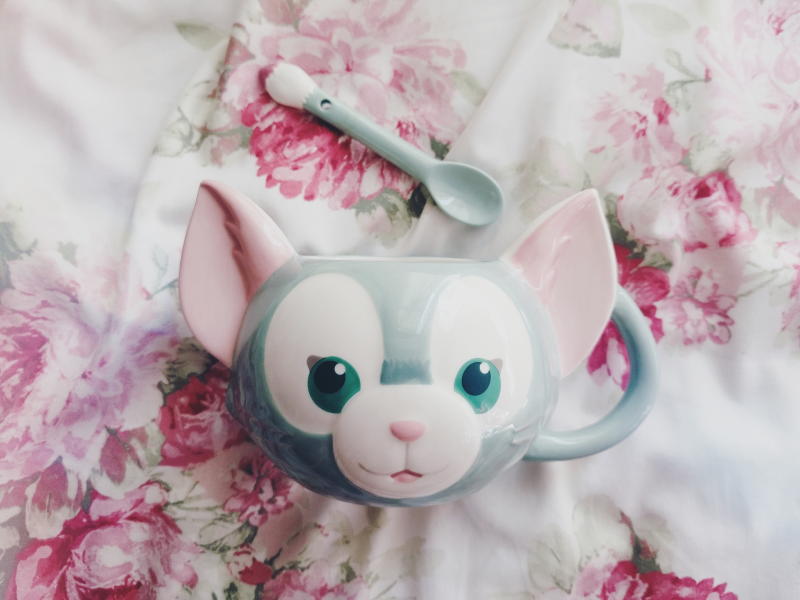 And last but not least, when we visited Hong Kong Disneyland in September I knew I wanted to pick up a Gelatoni mug as I'd seen them on Instagram before and fallen in love. Luckily for me there were still loads on the shelves, and even luckier I managed to get it back to the UK in one piece! It's definitely the most unique mug in my collection! 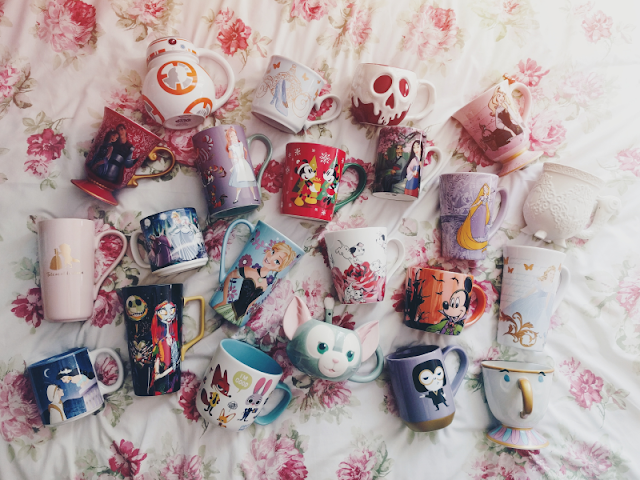 I hope you enjoyed this peek at my Disney mug collection! See you next year when I'll inevitably have double the number of mugs I do now, haha! 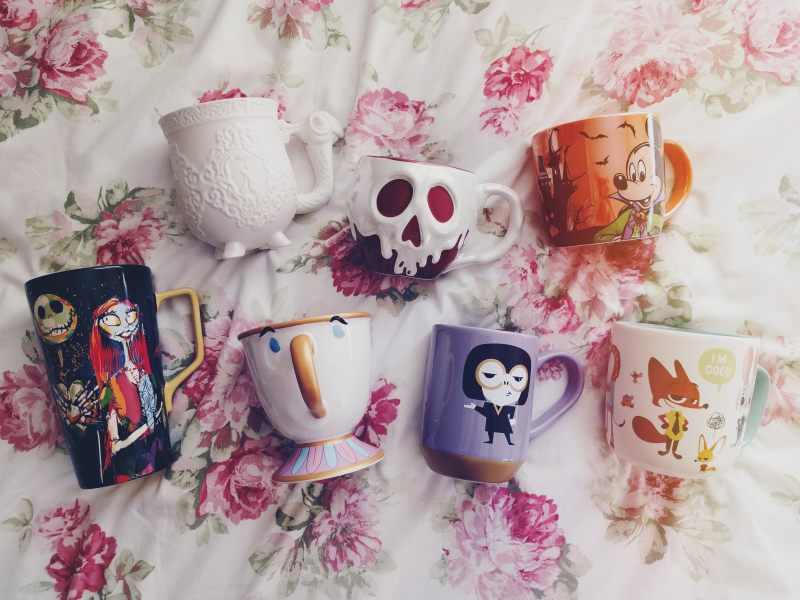 Oh my goodness you have some beautiful mugs. I can't quite which decide is my favourite, but I'm definitely loving that Edna Mode mug!